Again I took a quick browse into Boots and ended up spending half an hour in there arguing with myself amongst the busy lunchtime rush hour about what products I should end up buying! Religiously for a while I was using Rimmel London's Lip Liner in Eastend Snob and I fell in love with it. It is retractable which I like as you can twist it down after use so if you are clumsy like me, you don't end up catching it and breaking half of it off. It wasn't till about a week ago, I was just about to apply it... and well there was nothing, absolutely nothing left. There were almost tears, as dramatic as it sounds, but when you have a look put together and it looks great in your mind and one thing is missing... it is terrible! But once again we reunite and I can carry on creating my looks that I visualise! However I will now keep an eye on the usage. This product is inexpensive just costing around £3.99! 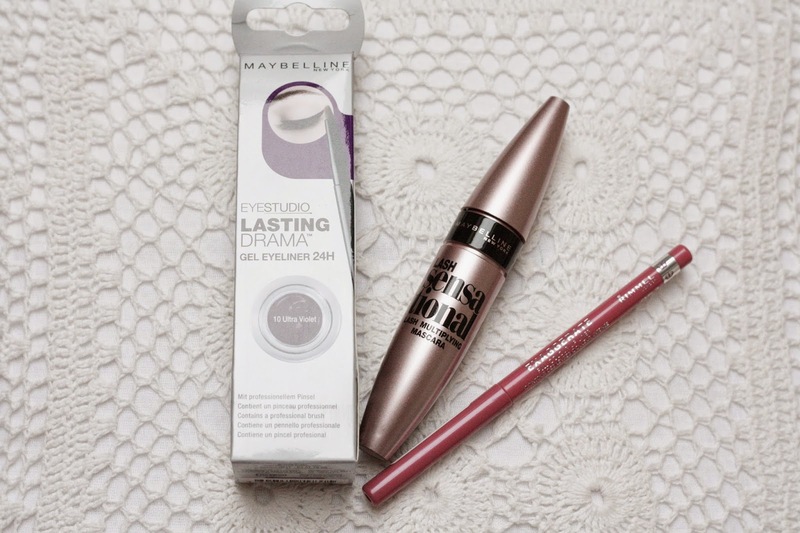 Now for mascara, I'm a huge fan of Maybelline's mascaras and whenever there is a newbie, I just have to give it a whirl. I used it today, and it grabs every eyelash, the curved brush also works wonders with the eye's natural shape. So far so good! I got this on offer in Boots for around £5.99 I believe. And finally a product I have been meaning to purchase for a while! 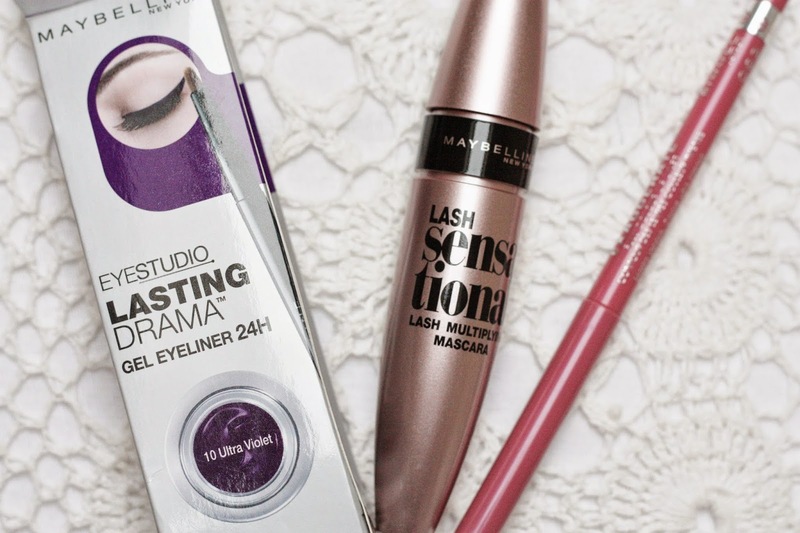 Maybelline's Gel Eyeline is Ultra Violet. It is beautiful! I used it today, however one thing I may say is that it's a lot drier than the black. So it does take a few dips in the pot to have a vibrant look. Still after the effort it stills looks amazing. I believe this was around £7.99.